Several Enoplops scapha were active on the sunny cliffs at Lizard Point. 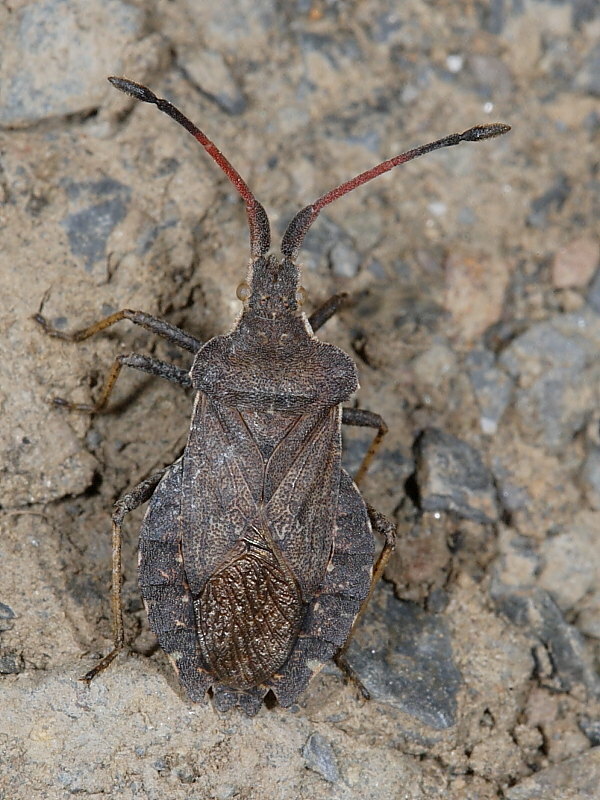 Insight into Enoplops scapha: a member of the family Coreidae, also known as Squashbugs, they closely resemble Shieldbugs. It is thought that Squashbugs get their common name from the United States where some species are pests of squash fruits. They are vegitarian, feeding on plants in the daisy family such as Scentless Mayweed (Tripleurospermum inodorum). They are most common along the coastline of Wales and southern England where they like dry, sunny, sheltered areas with sparse vegetation. An excellent reference book is “Shieldbugs and Squashbugs of the British Isles” by Martin Evans and Roger Edmondson. Click the links to see more Bug posts or the British Bugs gallery.